What is your tolerance for challenge? I’m not talking about that oxer you haven’t tried, or that test you haven’t ridden. I’m talking about challenges to your ideas, decisions, or pre-conceived notions. I’ve been thinking a lot about this lately; though, truth be told, it has been a notion I’ve pondered most of my life. I work for someone who sees every challenge to an idea or decision as a “clash”. My mother recently joined a Facebook group, where a simple question led to pleas for civility – in spite of the fact that all answers were very civil, but not necessarily in agreement. The very universities that I grew up loving are struggling with issues of free speech, in the very institution where the name of the game is (or should be) “challenge”. It feels as though we have reached a period where challenges of ideas or pre-conceived notions are not acceptable – and nowhere does that seem more pervasive than in the horse world. Whether by nature or nurture, I have always been one who challenges – not in an adversarial way, but because I naturally question. I want to understand. I want to know why something should be done a certain way. I want to know why you believe what you do, not to destroy your beliefs but to challenge my own. It is in my nature – but it has often gotten me into trouble. I grew up in a university environment, where challenge was valued. If you had a hypothesis or viewpoint, you had to be able to defend it. It was an environment that suited me well, even as a child. However, I found the rest of the world less embracing of a child with an insatiable curiosity and a willingness to engage in debate with adults. Least welcoming of this were most of the riding instructors I encountered. As I reached adulthood, I finally found a couple of instructors who embraced questions and challenges – and then my real education began. No more “just do what I tell you”, I suddenly could quench my thirst for the “why” behind all the “what”. It was wonderful! But as the years have gone by, I’ve come to realize what a rarity that was – and how it is becoming even more rare. The irony of riding instructors who do not like questions or challenges is that horses, by nature, pose questions and challenges. If you cannot tolerate a student asking you why something is done a certain way, how do you react if your horse poses a similar challenge? Sadly, I have frequently seen the answer to that question in action – often in the circles of “Natural Horsemanship”. It is my belief that the finest horseman learn life lessons from their horses, and can apply the same patience and openness to their human students. It is not an easy thing to embrace questions and challenges to your ideas. I believe that it takes a combination of confidence and humility to do it without defensiveness – and that is a difficult balance to achieve. I once had the opportunity to work with a great horseman – someone acknowledged as such worldwide. His skill was in no dispute, and you could tell that he knew it. Yet, he held an air of resentment when questioned. Perhaps it was his former role as a military officer – but he was to be obeyed, no questions asked. Interestingly, his approach to horses was similar. Though he approached them with humanity and great care, he quickly dismissed as useless any horse who did not conform to his methods. It is the job of an educator, whether of human or horse, to be able to explain themselves – in this way the student helps the master become better. A supervisor should not take offense if an employee wants to know why a decision was made – or offers a better option. 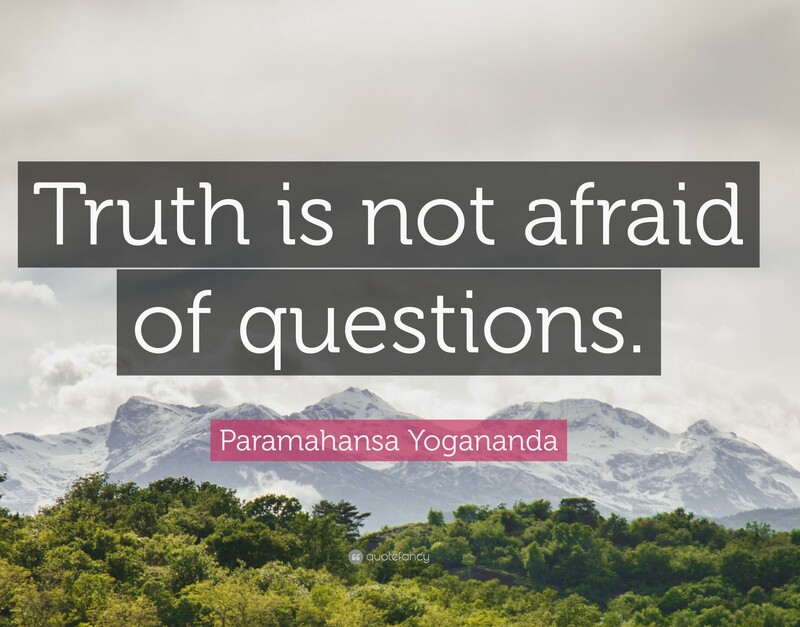 I have been in both positions, and I have felt the initial tightening, and the little voice saying, “Who are you to question me?” But I always remember how often I have been there, and the bravery it can take to ask the questions. Until proven otherwise, I assume it is not posed with ill intent, but rather just to learn or understand. By embracing the questions and challenges that come my way, I have found that I either further solidify my own understanding of the subject, or I find a different perspective and thus improve my own knowledge. It is how you grow, both intellectually and empathically. So, how do you face challenges to your beliefs and ideas? This entry was posted in Thinking Out Loud and tagged challenge, discussion, Horse training, idea sharing, learning, tolerance. Bookmark the permalink. I agree with you on the topic of instructors and professional riders who do not take kindly to questions from students or from their horses. And for that matter questions on any platform, Facebook, Social Media, School, University. Questions have to be asked. Otherwise we would still be in caves.